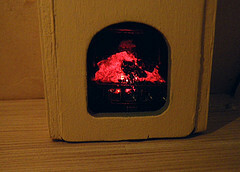 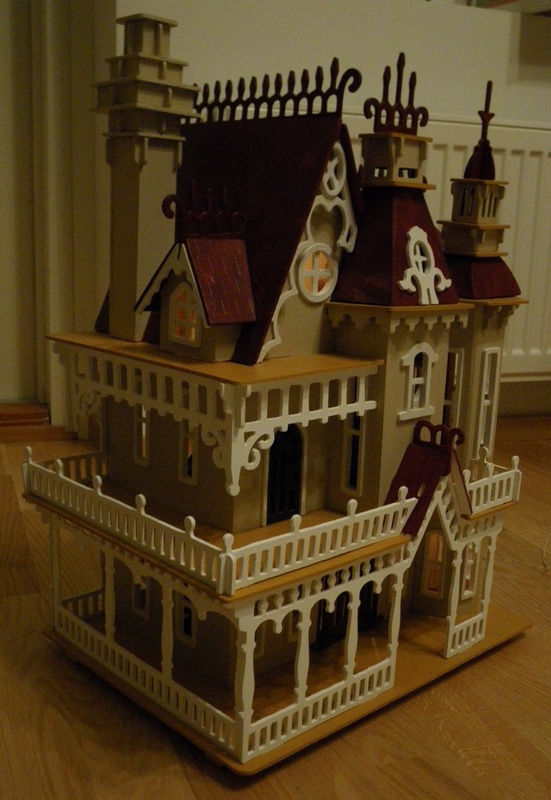 The description of the earlier stages of building this house can be found in my Crafts blog. 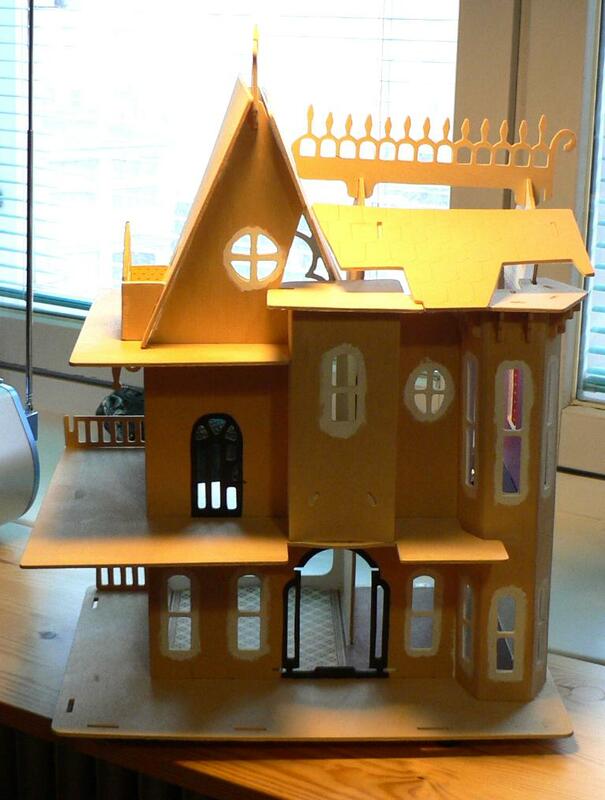 This is a Fantasy Villa built from a laser-cut set. 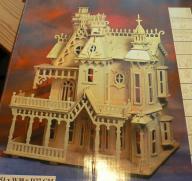 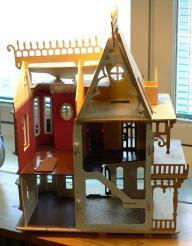 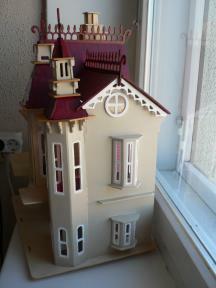 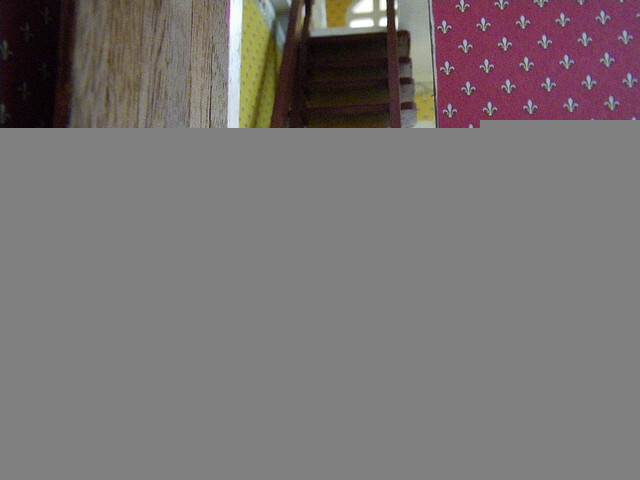 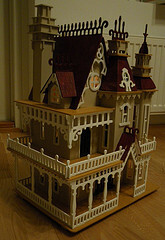 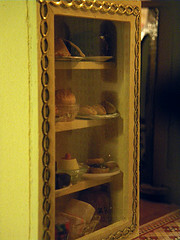 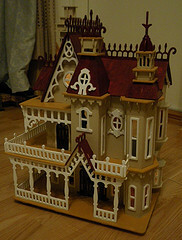 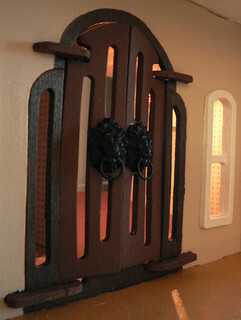 The first picture is the front of the package, showing the dollhouse assembled, but not painted. 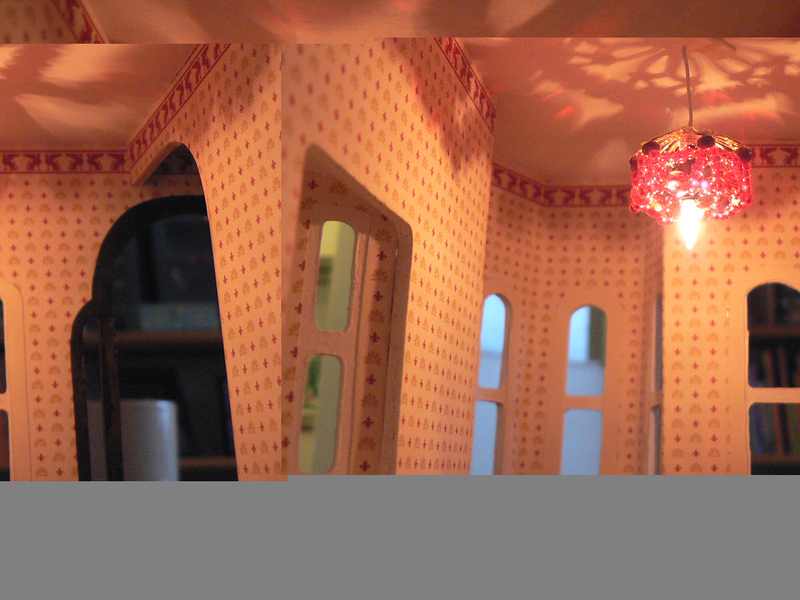 The other two pictures show the house semi-assembled with electrical wiring and wallpapers in place. 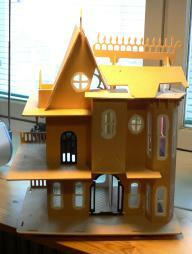 In the first picture below, the roof is in place and part of the house has been painted. The parts of the kit do not fit together very well in some places, so there will be gaps left in some places although I've tried to eliminate them whenever possible. 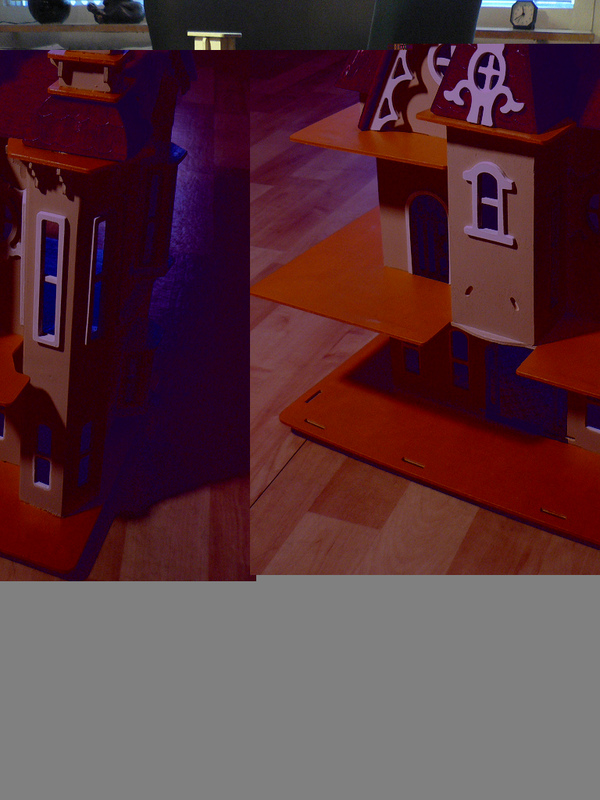 The second picture shows the house with a bit more painting done. Also, the window frames are now in place. 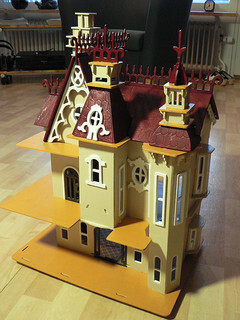 Here is the house with the exterior finished. 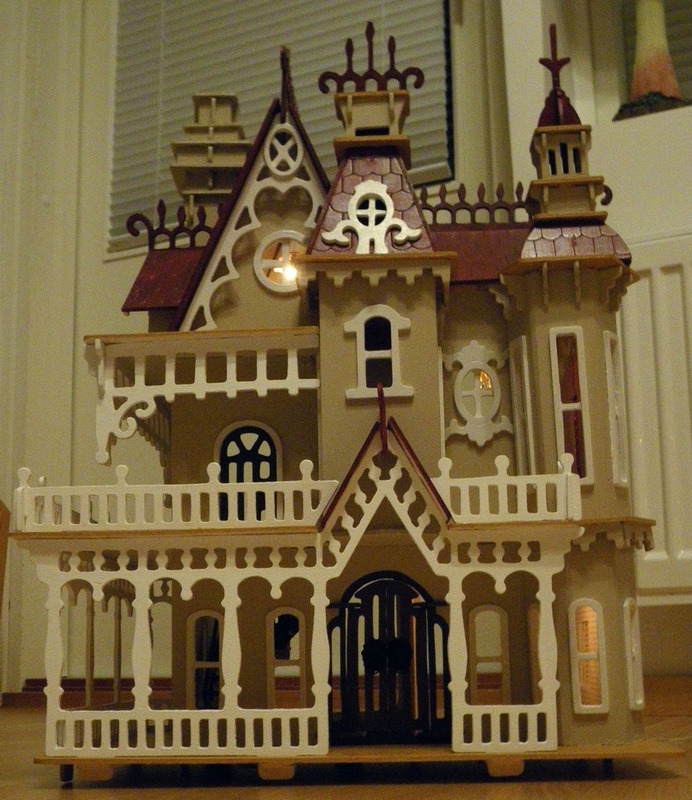 I may add some gargoyles or other decorations to it, but the house is now completely assembled and painted. 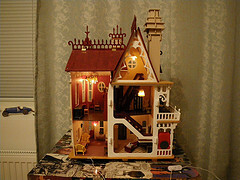 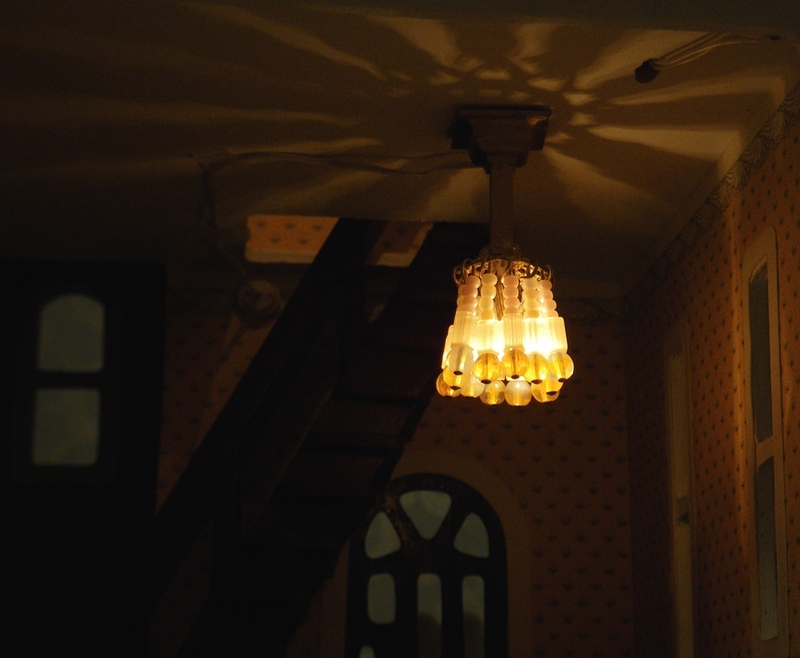 Here are some interior shots of the house. 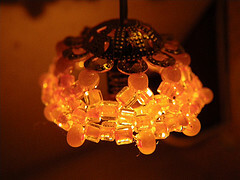 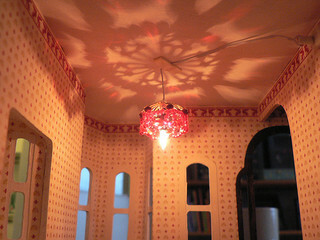 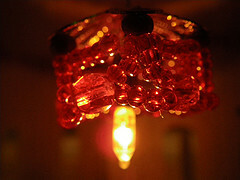 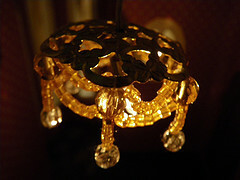 First, lamps I have made myself. 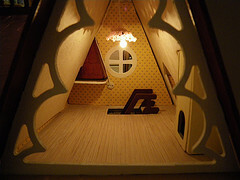 Couple of shots from the attic. 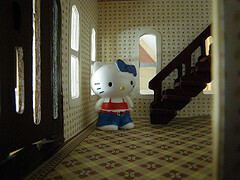 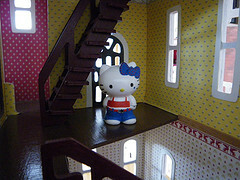 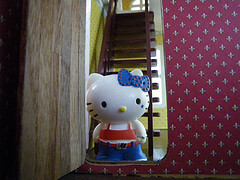 Hello Kitty surveying her new house. 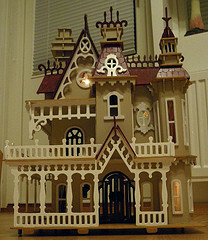 For more photos of the furnished house, see the Fantasy Villa stories set on this house.